Do you have liquids contained in a Plastic Barrel? 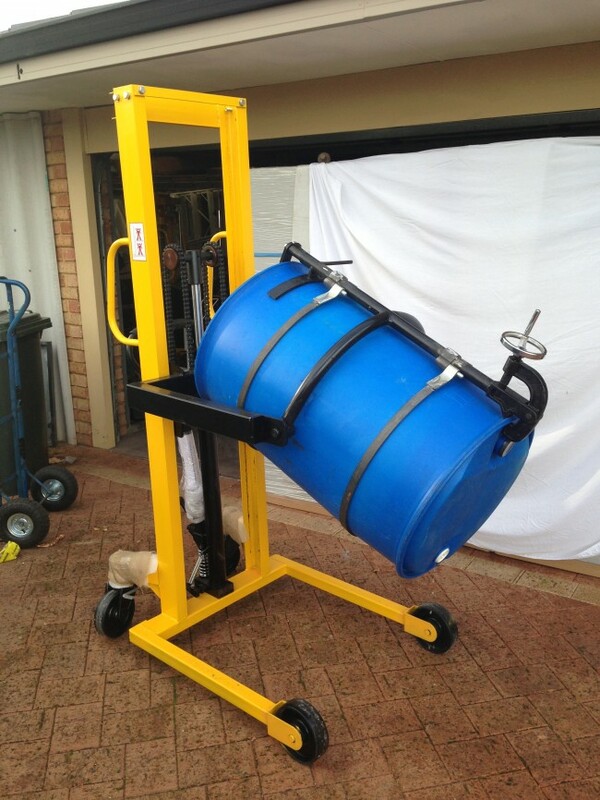 Then you will need a Plastic Drum Rotator capable of safely lifting and dispensing the liquid? We have taken a Steel Drum Rotator and made it Plastic Drum Rotator. We’re probably not the first website you’ve clicked on trying to find an item that can work magic with your plastic barrels. It seems like the drum handling world has it’s eyes set on the steel kind. We’ve received enough calls about this to make us millionaires. For this reason we decided to finally convert one into a Plastic Drum Rotator for the masses. We did this by fabricating a removable custom attachment that also allows it to safely pick up Plastic Barrels. If ever you need to revert it to steel drums, you simply remove the attachment for a time – easy as pie. With this unit you can keep your forklift and it’s driver free for use elsewhere. You simply drive the Plastic Drum Rotator up against the plastic drum. You then turn the top crank handle to fix the top lip in place. You then do up the belt buckle and away you go. This unit has both a hand and foot operated pump operation. Gears: Precision, high quality gears for precision pouring! The chain drive and cranke operated gearbox is full enclosed. Need more information? Let’s talk. Try one of our numbers above!